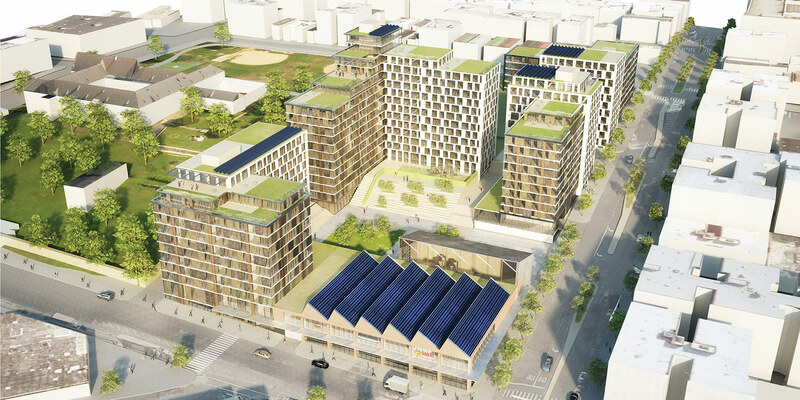 The New York City Economic Development Corporation (NYCEDC) and the Department of Housing Preservation and Development (HPD) recently unveiled plans to redevelop a former Bronx juvenile prison into a mixed-use development centered on affordable housing. 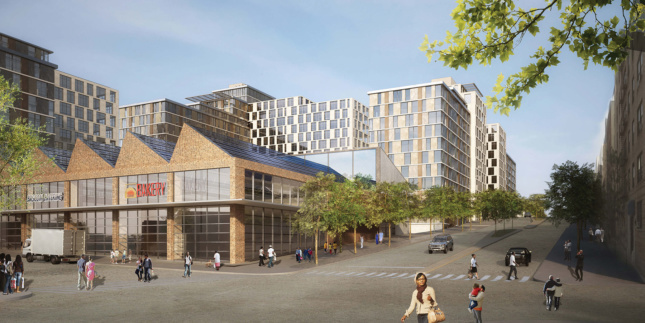 WXY architecture + urban design (WXY) is collaborating with Body Lawson Associates (BLA) to transform the infamous Spofford Juvenile Detention Center into the Peninsula, a $300 million project that will create 740 units of 100 percent affordable housing. Claire Weisz, principal-in-charge of WXY, said that “no parts of the former prison [were] being reincorporated” into the development. “The goal is to create a campus that incorporates living and working to reimagine this promontory place in Hunts Point,” she added. The rest of the team—Gilbane Development Company, Hudson Companies, and Mutual Housing Association of New York (MHANY)—was chosen through a 2015 request for expressions of interest (RFEI). The team is working with longtime neighborhood stakeholders like the Point CDC, BronxWorks, Casita Maria Center for Arts and Education, Urban Health Plan, Sustainable South Bronx, and others. In 2014, Majora Carter—the urban revitalization activist and founder and former executive director of Sustainable South Bronx—partnered with AutoDesk to imagine alternatives to the Spofford site, which operated as the Bridges Juvenile Center when it was shuttered by the city in 2011 over appalling conditions and inmate abuse. Along with the typical deliverables that come with a project this size—retail, community, and green space—the Peninsula will bring 49,000 square feet of light industrial space to the Hunts Point neighborhood. 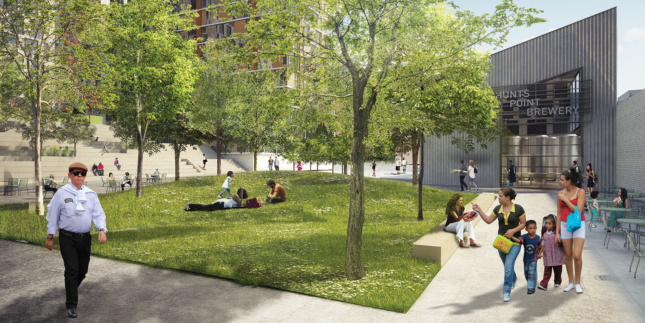 In addition to providing housing, the plan integrates different types of workspaces, including artist work studios and light industrial space for Bronx-based businesses to both launch and expand. The Peninsula will host a business incubator, job training facilities, school space for pre-kindergarten (an on-site Head Start program will be incorporated into the project) and higher education, 52,000 square feet of open space, and an 18,000-square-foot health and wellness center operated by Urban Health Plan. “The housing and these work spaces will together create a lively and open addition to the neighborhood of Hunts Point,” said Weisz. The five-building development is coming online in three planned phases: Phase one is expected to be complete in 2021, with phase two coming online the year after and the third phase set to open in 2024.